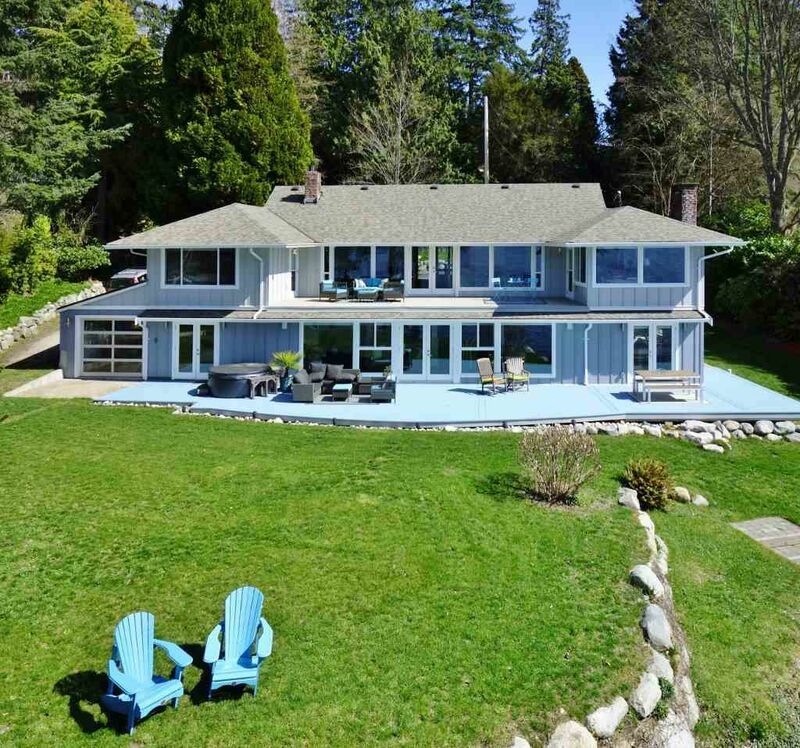 This gorgeous 138' wide double lot waterfront property boasts panoramic westerly views from both levels of its totally remodelled 2 level home. This level entry home offers 2 large living areas - 1 on each of the 2 floors. You'll appreciate the new kitchen on the main level and the kitchen on the lower level can be used for an in-law suite. The main level has all new hardwood flooring and there are 3 bedrooms up and 3 bedrooms down to house all your extended family while they enjoy adventures on the Sunshine Coast. There is an easy stroll down to leave your kayaks at the beach or to go for your summer swim or to simply have a picnic in the fresh salt air! What a life! Move in ready. View multimedia for drone aerial pictures of property. Motivated Sellers!